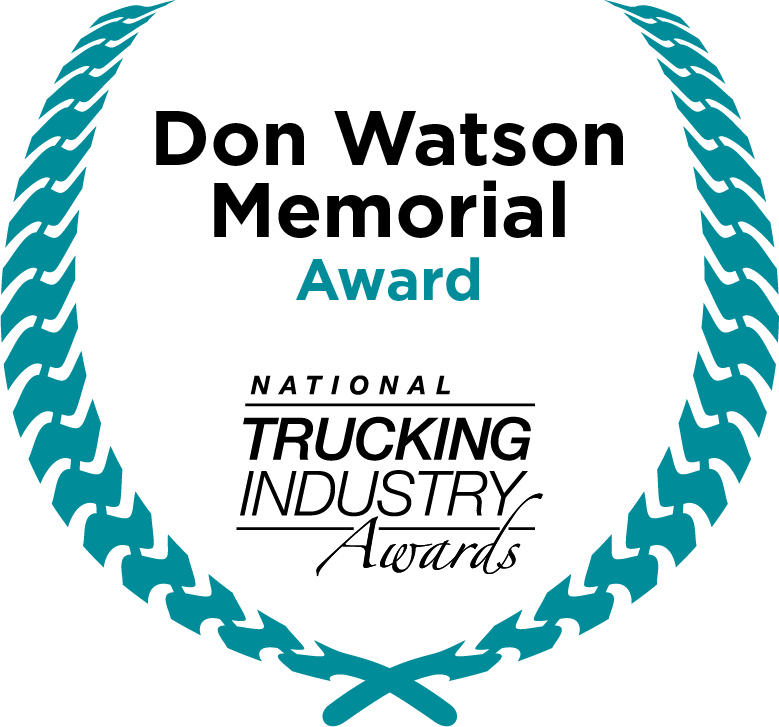 The Don Watson Memorial Award is presented by Noelene Watson to the person who has given conspicuous service to the Australian trucking industry. The winner is selected from a range of exceptional people who do not need to nominate to be considered. The Don Watson Award is generally awarded to a representative of an industry supplier. In this way, it is differentiated from the award for an Outstanding Contribution, which is awarded to individuals employed in trucking operations or trucking groups. Don Watson grew up next door to the family’s Golden Fleece Service Station and served petrol and washed the trucks after school. When he took over the trucking business from his father, he grew the business from a livestock carrier to a refrigerated transport business. Don was dedicated to giving back to the industry he loved. He promoted the need for associations which would bring like-minded people together. Outside work, Don raced cars. He drove Porsches, Group E Production Sedans and Group A Touring Cars. The industry lost a great advocate and mate in Don Watson when he was competing at the 1994 Bathurst one-thousand touring car races. A trophy, media publicity and accolades from the many industry representatives attending the ATA Foundations Sponsors Gala Dinner at the ATA’s annual national conference, Trucking Australia, where the winner is announced.